OK, moms: Have you fallen into the “busy trap”? If you con­stantly feel over­whelmed and dream of escap­ing to a trop­i­cal island, then the answer is prob­a­bly “Yes.” For the past few years, I’ve been stuck there as well. Don’t get me wrong, I LIKE being busy. And my over­sched­uled life is totally my own doing. I have no one to blame but myself. But around this time last year, I decided it had got­ten way out of con­trol. Enough was enough. I wanted OFF the crazy busy train. While I’ve always been a healthy eater, my exer­cise and sleep habits were suf­fer­ing. I felt hor­ri­bly out of shape. I was falling asleep while read­ing to my kids in the mid­dle of the day. 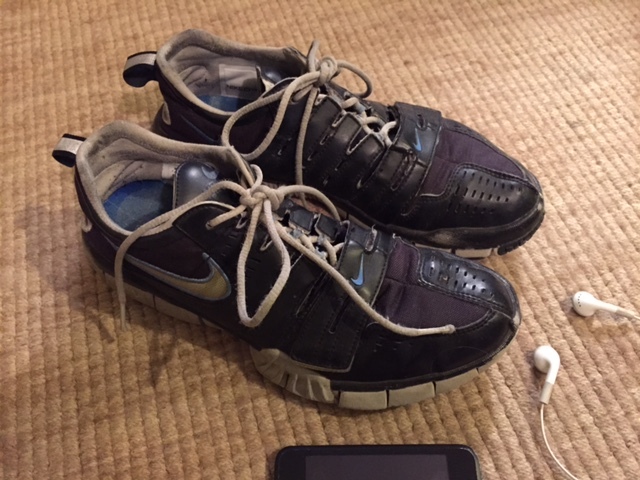 So at the start of 2015, I set a fit­ness goal: run 10+ miles a week. At one point in my life, 10 miles a week would have felt like noth­ing. But I had fallen so far off the exer­cise wagon that it was a challenge. Now that the year has come to a close, I’m happy to say: MISSION ACCOMPLISHED! Through heat waves, wild­fires and bliz­zards, school vaca­tions and inflamed blis­ters, I ran. While 10 miles a week may not sound like much, it’s the equiv­a­lent of almost 20 marathons–more than one a month! I’ve also been work­ing on get­ting more sleep. Instead of head­ing back to my com­puter after putting the kids to bed, I get myself to bed! Since my alarm goes off before 5:00am on week­days, get­ting to sleep early is essential. Of course, all of this has come at a cost. I haven’t been able to keep up with this blog. Some­thing had to give! But as the result of my lifestyle changes, I feel great, my skin looks bet­ter, and I know I’m being much healthier. This blog is really impor­tant to me–I truly want to help oth­ers by writ­ing about my own chal­lenges and suc­cesses in trans­form­ing my kids’ school food envi­ron­ment. I hope to get back to post­ing in early 2016. In the mean­time, I’m still work­ing hard to make change in my com­mu­nity. This fall, we had some major set­backs with our Healthy Class­rooms Ini­tia­tive, which I hope to fill you in about really soon. Let’s just say the cup­cakes are baaaack! Dis­cour­ag­ing, to say the least–but I’m try­ing really hard to stay positive. I’m also work­ing on tack­ling the prob­lems with our school lunch. In the com­ing weeks, I am meet­ing with our dis­trict super­in­ten­dent and two board trustees. It is a huge nut to crack, but I really feel like the time might be right to get some pos­i­tive changes in motion. In the mean­time, HAPPY NEW YEAR and hope all your wishes come true in 2016!